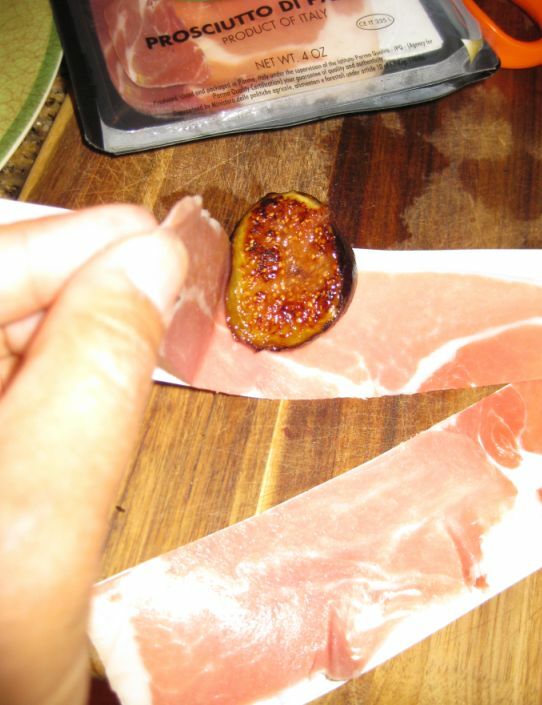 Fresh figs and prosciutto is an incredibly easy-to-prepare appetizer. 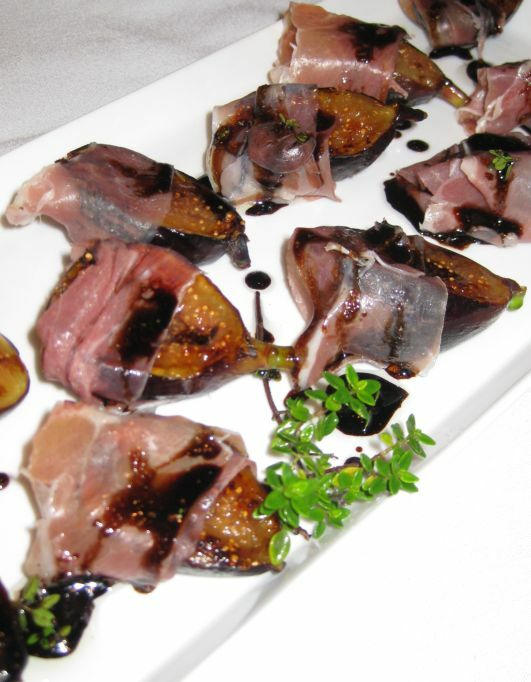 Sweet and delicious figs make the perfect pairing with a thin slice of Prosciutto. 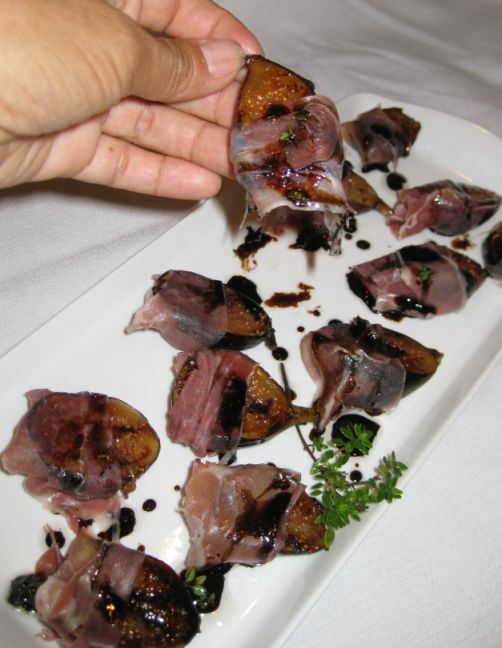 Combining the sweet, rich taste of figs and the salty, fatty flavor of prosciutto together with a drizzled of balsamic vinegar and olive oil is simply delicious. This appetizer is so easy to prepare and it will take you about 10 minutes in total to serve it! It is a simple, elegant and tasty appetizer dish. Too bad figs are not available all year round, so when they are season, I always buy a basket each weekend until they are not longer available. If you can not find aged balsamic vinegar which is a bit sweeter than regular balsamic ad a bit of sugar and bring it to boil for a few minutes and let it reduce a bit. 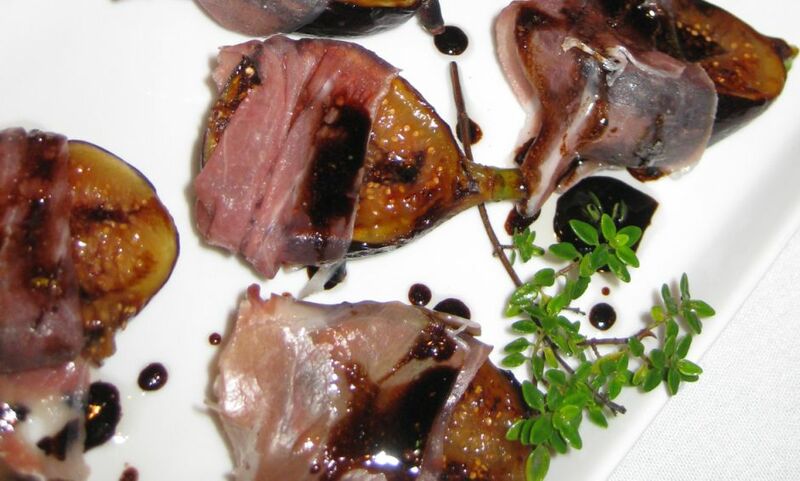 A plate of ripe figs wrapped with prosciutto is ideal to start a meal in the summertime under a shaded patio and a cold beer or a glass of wine. Brush the cut end with a little olive oil and prepare the sauce. 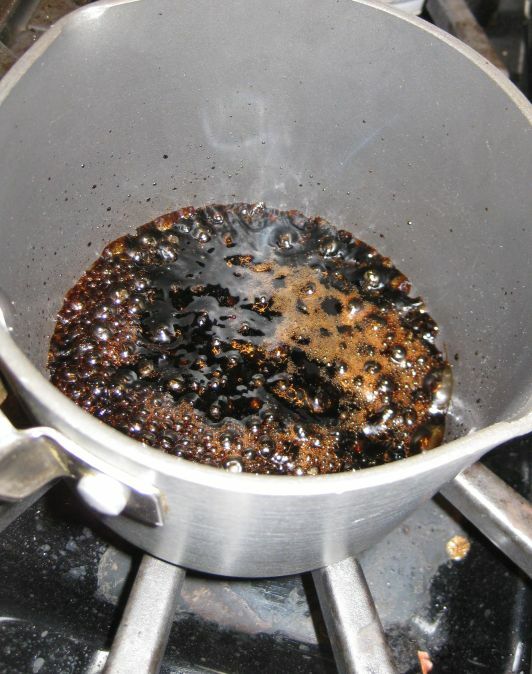 Pour 1/3 cup of balsamic vinegar in a sauce pan and bring it to a boil. Let it cook until it is reduced by half and turn off the heat. 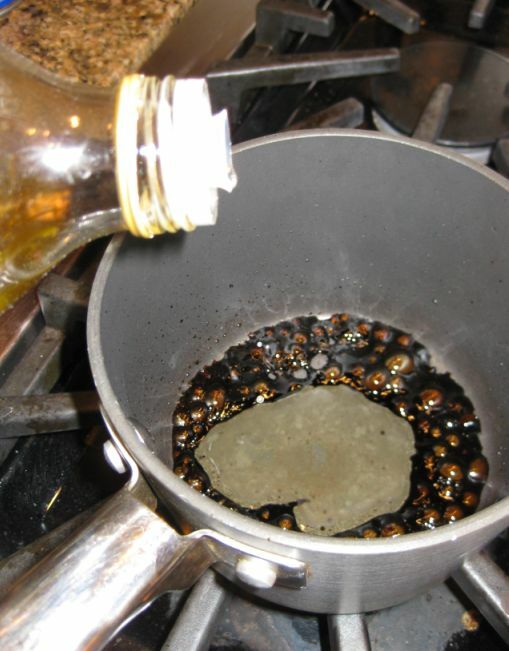 Pour a tablespoon of oil of olive in the sauce pan and stir until the oil and the balsamic vinegar is well mix. Add salt an pepper to taste. 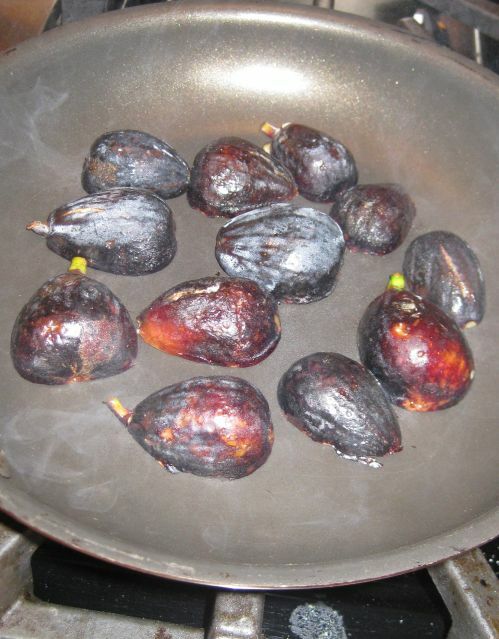 In a hot pan put the figs face down and let is cook for about 1 minutes or until the top is caramelized. Don't cook for too long or they will fall apart. 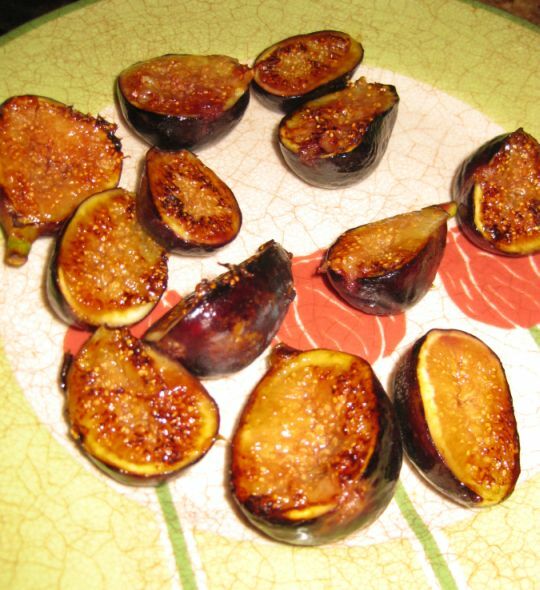 Cook only 1 side of the figs. 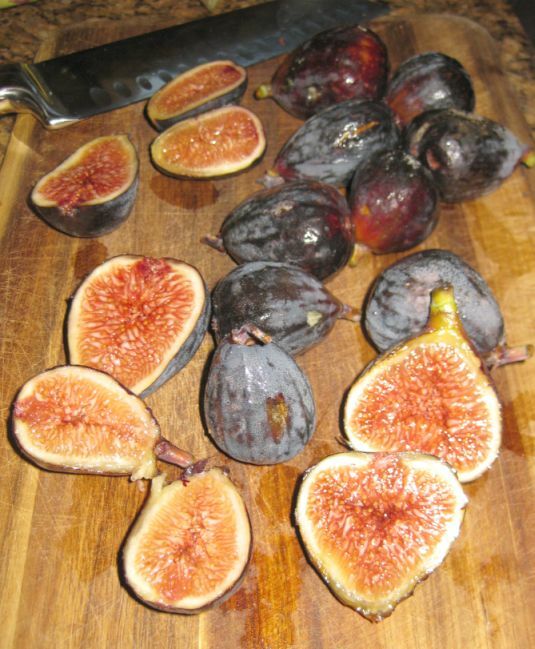 Put the figs on a plate. 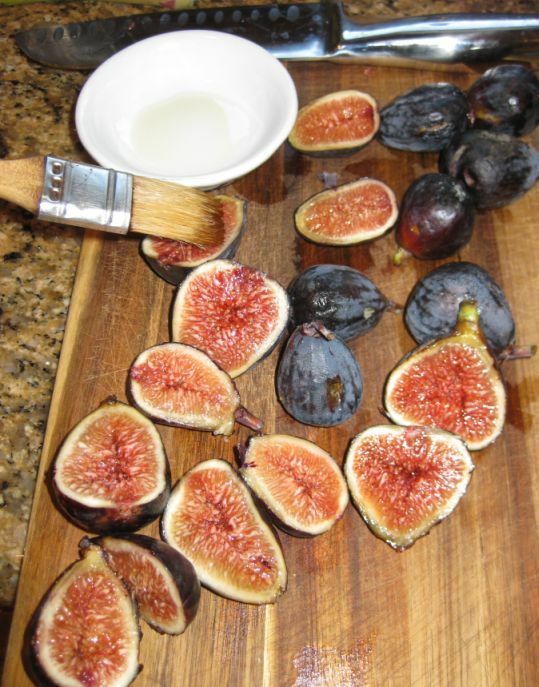 When ready to serve, drizzle this mixture over the figs and greens and serve.